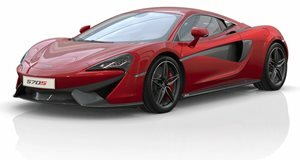 Only a few days after the McLaren 570S was revealed in New York, we got word that Ferrari is indeed planning to build an entry-level model of its own, supposedly due in 2019. What exactly is an entry-level supercar? Something that costs less than $200,000 new. Think Porsche 911 Turbo territory, which runs for around $180,000. That’s the latest hot segment these exclusive brands are seeking to conquer, but what about Lamborghini? Will it too produce a sub-$200k model of its own? Short answer: nope. Car and Driver spoke with Lamborghini CEO Stephan Winkelmann at New York where the news was confirmed. "At the time, we are not planning to do something like this," Winkelmann clearly stated. Why is that? Because Lamborghini wants to remain exclusive. For example, it sold 2,500 vehicles last year while Ferrari sold 7,000. 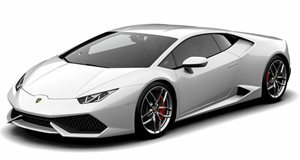 Also, it wants to retain just two engines, the V10 and V12, for its two-door supercars, and, if possible, keep both naturally aspirated. The upcoming Lambo SUV, however, may end up with a turbo engine or even a hybrid setup. But that Asterion hybrid concept from Paris last year was only a technological showcase of what’s possible, and there are no production plans. However, Winkelmann also said that if there’s one thing he’s learned over the years in this industry it’s this: "Never say never." In other words, plans change. For the time being though, don’t expect for Lamborghini to build a McLaren 570S fighter. Remember, there’s always the Huracan’s cousin, the new Audi R8.